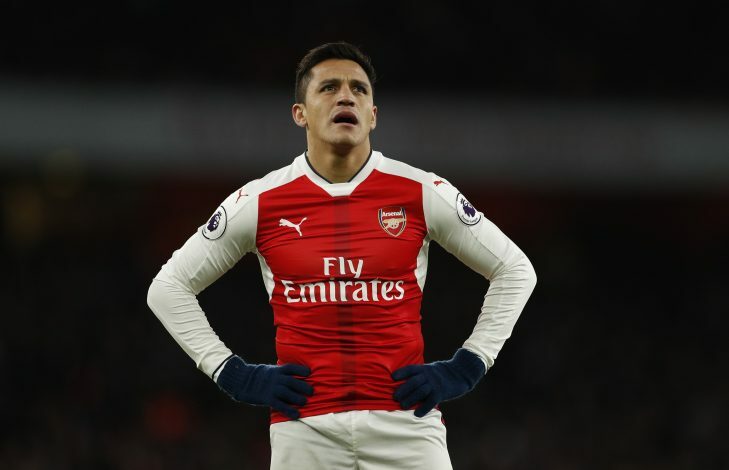 Arsenal legend Robert Pires claims there was no such training ground bust-up involving Alexis Sanchez which led the Chilean to be dropped by Arsene Wenger against Liverpool. The rumoured spat between Wenger and Sanchez was dominating the build-up to Arsenal’s Champions League last-16 second leg encounter against Bayern Munich but after leaving Sanchez out against Liverpool Wenger decided to start him for the monumental task of overturning a 5-1 deficit. Sadly, ten-man Arsenal were knocked out of the Champions League for the seventh successive season following a 5-1 humiliation at the hands of Bayern. Now Pires, speaking to Qatar-based beIN Sports, says the reports of a “bust-up” leading to the star forward being sidelined were completely baseless. “Claims in press there was a fight are false. I was there,” Pires said. Sanchez began Saturday’s Premier League game from the bench and was introduced after half-time, with the Gunners already 2-0 down. The Chilean would eventually go on to provide an assist for Danny Welbeck but was not been able to stop Wenger’s boys from going down 3-1. However, Sanchez and Wenger were seen shaking hands before Monday morning’s training session as the Gunners boss ruled out reports of a bust-up. “What you expect is that you go out there with lucid rage,” Wenger told the media ahead of the Bayern clash as he urged Sanchez to channel his frustrations. Paris Saint-Germain are believed to be the frontrunners for Sanchez’s signature this summer amid the Arsenal forward’s contract situation. Manchester City are also in the race but it’s highly unlikely Arsenal will sell him to an English rival under any circumstances.